If you’re picking out bridal fabric for your wedding dress at a wholesale fabric store near San Francisco , consider choosing lace fabric. Lace fabric is a timeless, sophisticated option for wedding dresses. Discount fabric stores offer great deals on high-quality lace fabric and wedding fabric, and have such a variety of options that you’re sure to find the perfect lace fabric for your dress. Watch this video for inspiration on using lace fabric for your wedding dress. A professional designer offers advice on picking out a lace wedding fabric that works with your wedding dress style and your personal aesthetic. With so many options for wedding dresses, it’s easy to find one that will make you feel comfortable, happy, and beautiful on your big day. 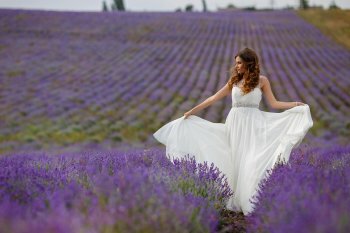 If you’re having a wedding dress custom designed and created for you, or if you’re sewing your own wedding dress, you should visit a fabric store in San Francisco for wedding fabric. 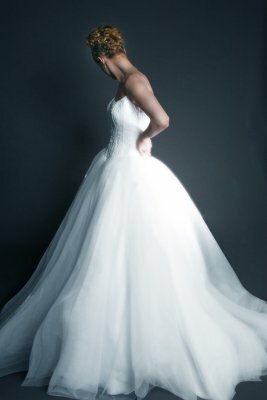 However, before you pick out your bridal fabric, check out this helpful guide to choosing the right wedding dress style. The best way to make sure that you feel comfortable and gorgeous in your wedding dress is to stay true to your own personal style. 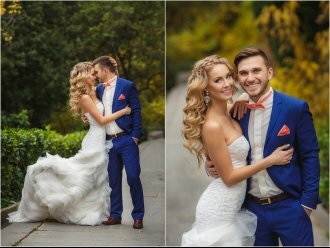 If you rarely wear dresses and prefer a more casual style, you may feel awkward and uncomfortable in a ballroom-style wedding dress. Conversely, if you enjoy dressing up, you’ll relish indulging your glamorous side. You can also choose wedding fabric according to your personal tastes, regardless of whether it would be considered traditional or more alternative bridal fabric. Even if you start designing your wedding dress as soon as possible, it still isn’t a great idea to experiment with a style you’ve never worn before. If you want to get a sense for what wedding gown styles work best for you before you or your seamstress starts sewing, go to a store and try on different wedding gown styles. You can even have a friend take pictures of you in different styles of dresses so you’ll have them for reference when you design your dress and visit your local discount fabric store. You’re going to be in your wedding dress for a number of hours, and much of that time will be spent standing, sitting, and dancing. You’ll want a dress that is comfortable enough to wear for a long period of time, and isn’t too much of a hassle to maneuver when you’re walking, dancing, or need a bathroom break. You should also aim for comfort when choosing wedding fabric for your dress, and avoid fabrics that are overly warm or itchy.